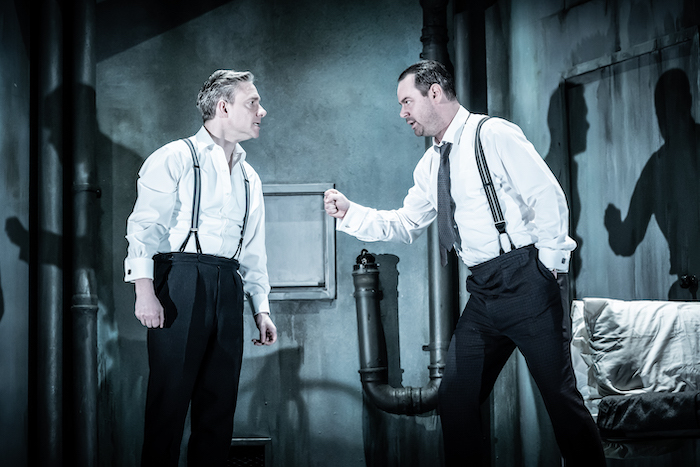 Jamie Lloyd’s outstanding season of Pinter shorts – chock-full of mini revelations, innovative stagings, and a thrilling range of work from both actors and creatives – finishes on a high note with this thoroughly entertaining pair. This entry was posted in Journalism, Theatre and tagged a slight ache, book tickets, broadwayworld, cheap tickets, comedy, danny dyer, gemma whelan, harold pinter theatre, hitman, jamie lloyd, john heffernan, london, martin freeman, pinter, pinter at the pinter, pinter seven, play, review, the dumber waiter, theatre, ticket deal, visit london, west end. Bookmark the permalink.